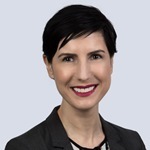 Anna Esposito is a member of the Construction Practice, Commercial Litigation Practice and Alternative Dispute Resolution Services. Anna’s practice is focused exclusively on construction law, representing all players in the construction industry, including owners, contractors, subcontractors, materials suppliers, owners, developers, sureties and insurers, mortgagees, trustees in bankruptcy and industry associations. She has appeared before all levels of the Ontario Courts, including the Ontario Superior Court of Justice and the Ontario Court of Appeal. She also has extensive experience in the mediation of construction related disputes, and as a construction claims officer. As a certified specialist in construction law, Anna advises and represents parties in connection with all types of construction disputes, such as liens, breach of trust, performance bonds, labour and material payment bonds, and delay and impact claims. As a mediator of construction related disputes, she can assist parties to resolve the same types of claims or disputes without resorting to court. Anna also assists clients with construction contract preparation, and has experience handling bankruptcy and insolvency matters in the context of the construction industry. Anna was the Managing Partner of the firm from 2005 until 2010 and served as the Construction Practice Group Head from 1987 until 2017.